Read more about my Mindful Travel series here. I’ve learned an incredible amount after three seasons working on the water here about the wildlife, the geology, the cultural history, and of course, the environmental issues facing the island as a result of human activity. Now, in the true spirit of The Greenest Blue, I want to help others (and myself) recognize the environmental impacts of our travels and lifestyle. That’s why Part 5 of my Mindful Travel Series is focused on researching any environmental issues faced by your travel destination and identifying productive steps you can take to help mitigate these issues before, during, and after your journey. 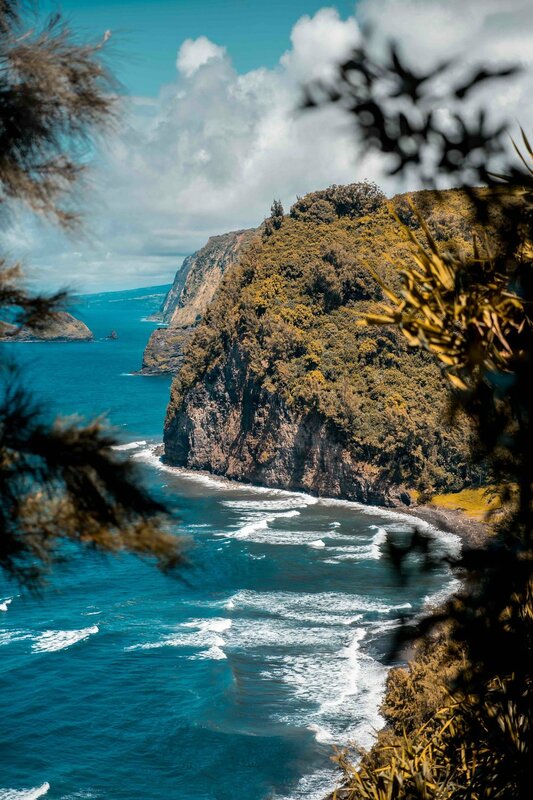 And, because I am currently visiting the beautiful island of Maui, we’re going to use the Valley Isle as an example of using your eco travel for good. Yes, I know that many people who are going on “vacation” do not want to worry about a damn thing once their plane hits the tarmac. They want to shut off and disconnect. And you deserve that! But you should also be willing to do a bit of background work before you take off. For example, it’s productive to research which tours and activities you might want to participate in while traveling. If you want to read more about the importance and strategy of picking ethical and sustainable tour operators, check out my post here. Doing the grunt work and bookings ahead of time will make sure you can secure the activities you really want to do, when you want to do them. It is fun to fly by the seat of your pants, but I urge you to make sure you’re supporting the right companies as you go about your eco travel. Now, as a natural result of doing your research on sustainable tour operators, you’ll probably dig up some literature and news articles around the environmental concerns facing your destination. Read as much as you can about these! I always feel a bit helpless if I arrive somewhere with no clue what hardships the locals (human and non-human) are facing. 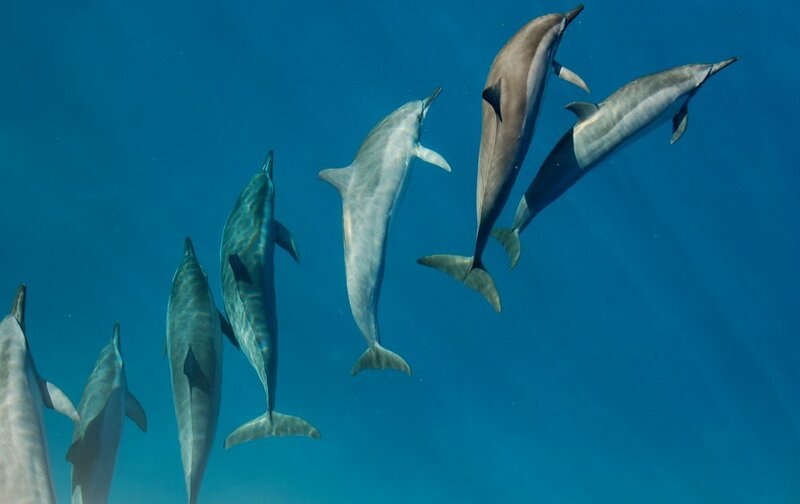 On Maui, for example, there are huge problems facing coral reef health, beach erosion, and exploitation of many beautiful natural places. To travel mindfully is to recognize that your actions in a particular destination can either contribute to or help mitigate these issues - and if you’re going to be somewhere, why not make a positive impact? There are all sorts of problems facing the ocean today, and coral reefs are some of the most endangered areas, particularly because they require very specific environments for optimum health. As Maui becomes more and more populated (and is visited by more and more tourists), wastewater disposal becomes as issue. Millions of gallons of wastewater are dumped into the ground on a daily basis, which contains levels of bacteria that violate the Safe Drinking Water Act. There’s also the concern of commercial sunscreen clouding up the water with its harmful contaminants. If you haven’t heard, by the year 2021 the sale of sunscreens containing the coral-harming chemicals oxybenzone and octinoxate will have ended. This makes Hawaii the first state in the U.S. to pass such a ban. We hope that folks will jump on board sooner and start using reef-safe sunscreen before then, and this includes the thousands of tourists that jump in the ocean everyday. Want more info? Dive in here. Choose the right sunscreen and urge your accommodation to provide reef-safe alternatives. It’s easy to arrive somewhere on vacation, particularly Maui, and think I could live here. I want to move here. I’m doing it. But it’s important to realize that buying property or moving to an island, anywhere in the world, comes with a lot of responsibility, and often a hefty contribution to climate change. Beach erosion is a real issue. Why? Scientists are calling out sea-level rise as the primary contributor. Current erosion rates are estimated to be about five inches a year on Maui - crazy, right? It’s because the beach needs room! Anytime there is development near the water, natural dynamic processes are compromised that were originally designed by nature to keep our beaches healthy. What does this mean for you as a visitor? Appreciate your accommodation, whether you’re staying in a Ka’anapali beachside resort, an AirBnB upcountry, or camping in Hana. Try to pick places that put an emphasis on sustainability and eco-initiatives. Know that living on an island doesn’t mean stepping away from all of the Earth’s problems. And if you do live here or are looking at buying property, take special consideration of the environmental impacts you might be having! 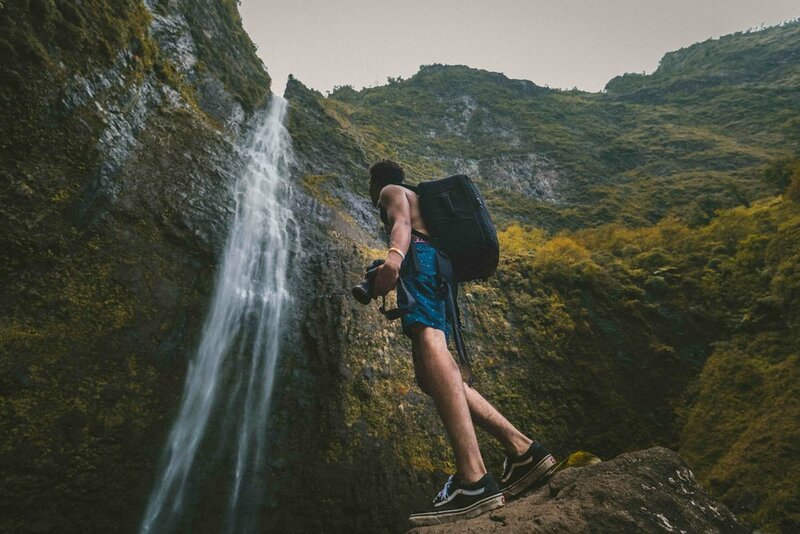 Maui has an incredible amount of stunning waterfalls, jungle hikes, coastal cliffs, upcountry forests, and beach walks to explore - but, as they say in Hawai’i, it is everyone’s responsibility to malama ‘aina (to care for the land). This island is lush and beautiful and welcoming, luring you to experience many magical and eye-opening moments of adventure and peace. But it does not exist solely as a playground for your vacation. Hawaiians see the land and ocean as spiritual givers of life and urge visitors to treat both with reverence and respect. It’s the least we can do in exchange for being able to experience this beautiful place, right? That means camping respectfully and cleaning up after yourself. It means not ripping through jungles and peeing in waterfall pools (many of which are water sources for nearby towns). It means not taking lava rocks, sand, or local flora because they contain the life force mana. If you’re ever concerned about visiting a spot or unsure if you can take something with you, ask! Many hotels and resorts have cultural advisors on hand to guide you throughout your eco travel to Maui. Remember, we are just visitors. Spark conversations with locals, too. You’ll be surprised how many amazing conversations you’ll have, and they might even offer to take you eco-adventuring! This is my favorite way to travel. You’ve done the research and you’re excited to get out and explore - so go forth and put your knowledge to practice! You’ll meet incredible people, and you can use these interactions as a way to spread the word about conservation and environmental concerns. Don’t be afraid to speak up if you see someone doing something that doesn’t align with your eco-awareness. It could be the perfect opportunity to motivate and inspire someone else. I also want to add that it’s really pretty crucial to be careful of the way you post on social media as you go about your eco-explorations. There’s plenty of information out there about how social media posts with location tags are causing formerly beautiful, pristine places to be overrun by the “do-it-for-the-gram-”ers. You know what I’m talking about. Be respectful of the places you get to visit, and maybe leave out the location tag (or leave it super general, like Maui instead of the exact name of the hike or beach). Maybe you’ll see your hometown in a new light once you come back from your eco travel adventure in Maui. You’ll start noticing the environmental issues facing your local community. It’s easy to feel inspired after a particularly beautiful and relaxing vacation, so jump on that train while you’ve got the motivation and see what conservation wheels you can get turning in your own neck of the woods. Talk to people about your experience and explain what it means to travel mindfully. Want more tips for green travel? Join me now!